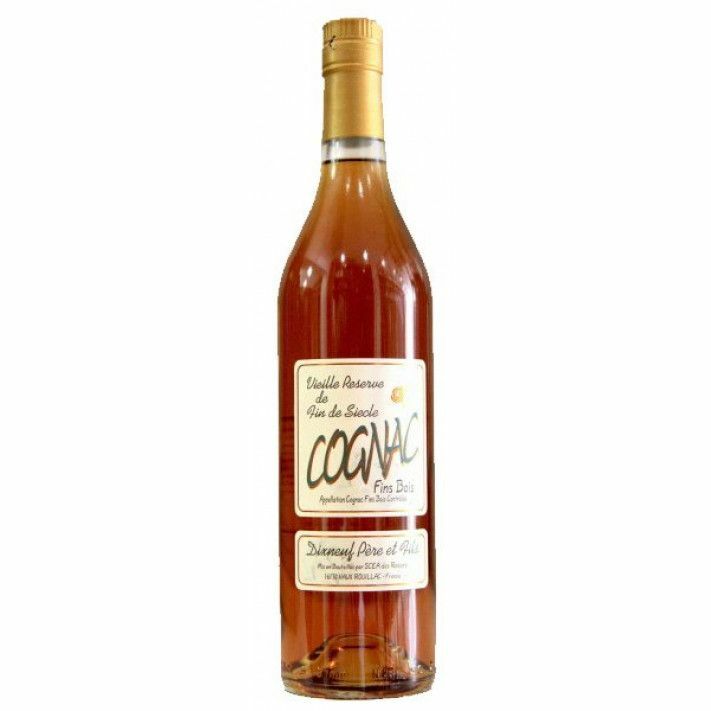 The Dixnneuf Pere et Fils Vieille Reserve Fins Bois Cognac is a delightful old cognac from this small, artisan house. It delights in many ways; from it's deep golden color with flashes of gold on the eye, through to the melange of aromas, and it's complexity on the palate. Presented in a traditional style cognac bottle with a classic label, the cognac is a blend of eaux-de-vie solely from the Fins Bois terroir of the region. A great example of the uniqueness of the grapes grown in this relatively small area of Cognac. Enjoy as a well-earned digestif after a good meal, or if you're feeling a little daring, alter the taste sensation by slipping in a block or two of ice.